What if all of our devices knew exactly who we were and how we wanted to use them simply through the simple act of touching them? Using the human body's ability to transmit high-frequency information, it is possible to create a device ecosystem mediated by the the physical interactions of its users. 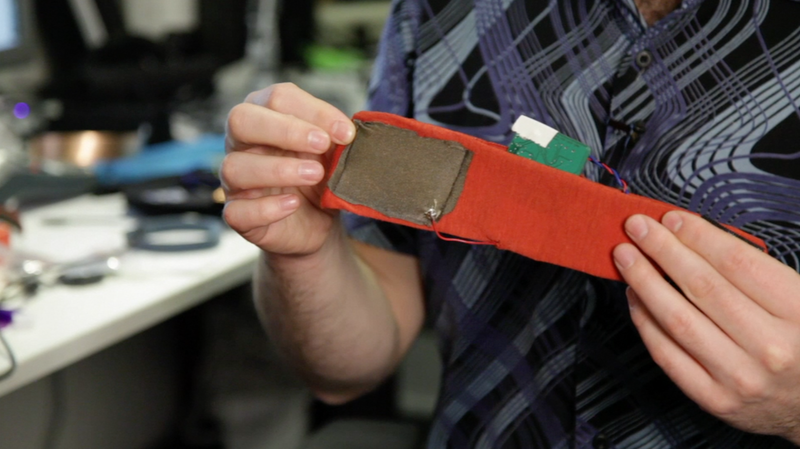 Working with researchers from the MIT Media Lab, I developed a system which consists of a wrist-worn active tag and a smart conductive doorknob. 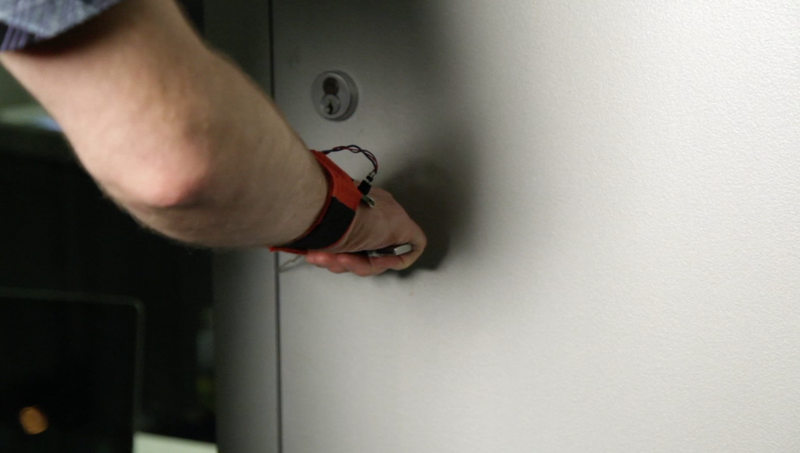 When a user grasps the doorknob, information about the user's identity is transmitted from the wrist-mounted tag, through the user's hand, and into a receiver connected to the doorknob which locks or unlocks itself depending upon the results of the information exchange between the user-worn tag and the doorknob. The MCP2035 (Microchip's Bodycom IC) library written for this project can be found on my Github.